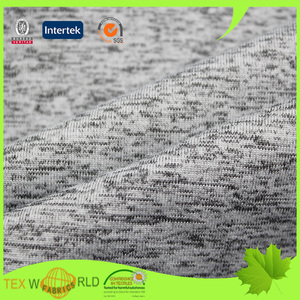 WPE1D02-BH Content 89% Polyester 11% Spandex Weight 174gsm Width 145/150cm Sample Available Name Soft Single Jersey Fabric for Sportwear Item No. WNE1D02 Content 86% Nylon 14% Spandex Weight 290gsm Width 145/150cm Sample Available Name Soft Space Dyed Fabric for Sportwear Item No. JNE1101-160 Content 85% Nylon 15% Spandex Weight 160gsm Width 155/160cm Sample Available Name Print Jacquard Plain Fabric Item No. A leading supplier in China. 2). 20+ Designing team. 5). 50+ Foreign Sales' Team. 6). Related Products 1. What is your time of making samples9 Usually we will take 3-7 days to make the samples. 3.What is your delivery time9 20-30 days after sample confirmed. 5.What is the production lead time9 What is your payment terms9 Our payment terms are T/T, Western Union, Moneygram, Trade Assurance, PayPal . 2. Q: What&rsquo;s your minimum order quantity9 A: Our MOQ is 300 pieces per design to start, you can choose 3 different colors with mixed sizes. 3. Q: Can I put my design logo on the items9 A: Sure, we can put your own logo on your items, we have beem customizing and relabeling in yoga clothing line for more than 5 years. 4. Q: What&rsquo;s your sample policy9 A: Our sample fee is refundable, which means we will return it in your bulk order. 90% Polyester 10% Spandex Yoga Pants Wholesale, Compression Seamless Fitness Yoga Pants White Advantage: Product quality will be guaranteed for 2 years. 3. Can I put my logo on9 Yes, please kindly click here to ask for more. 4. Need to know about the shipping cost9 Please kindly click here to ask for more. Every manufactured item is carefully examined and tested before leaving the factory premises. The company&rsquo;s remarkable success in a few years let it stand in one of the leading manufacturers and exporter. We have been offering the selection in varied eye-catching and striking designs to meet the demands of the clients. We are glad to make customized samples for you to test quality before bulk order. 4.What is your production lead time9 The production lead time is 35-45 days. 5.What's the production lead time9What's your payment terms9 Our payment terms are T/T, L/C,Trade Assurance. We understand and focus to develop trendy products and deliver value to our customers. We are capable to provide our business partners bestselling products with international styling. We understand and focus on develop trendy products and deliver value to our customers. Hot Products EXL Products name High waist leggings Colour Multi color optional,can be customized as Pantone No. MOQ 100 pieces Size Cutomized size Technics Garment Dyed Logo Can use your own logo Sample time 3-7 working days Delivery time Within 0-25 days after the receiving of the payment. Payment T/T, Paypal, Western Union. Guangzhou Copas Electronic Commerce Co., Ltd. CONTACT US &gt; We are specialized in Sportswear for more than 10 years. CONTACT US &gt; We are specialized in Sportswear for more than 10 years. CONTACT US &gt; We are specialized in Sportswear for more than 10 years. Fitness Yoga Wear 92 Polyester 8 Spandex Leggings Women Sport Pants with Moisture Wicking . Gym Outfits . Fashion Leggings . Shenzhen Monton International Apparel Co., Ltd.
Yiwu Osinne Jewelry Co., Ltd.
Q3. How Can I order9 A : You can directly place an order on Alibaba website, you can tell us the model No. Q4. Can I get discounts9 A : Yes, for big order and frequent customers, we'll give reasonable discounts. Q5. Can you add our own logo on the products9 A : Yes, we can add customers' logo, if you need, welcome to contact us! Alibaba.com offers 139,000 polyester spandex yoga pants products. About 82% of these are fitness & yoga wear, 7% are leggings, and 2% are training & jogging wear. A wide variety of polyester spandex yoga pants options are available to you, such as anti-bacterial, anti-static, and breathable. You can also choose from in-stock items, oem service. As well as from pants, sets. And whether polyester spandex yoga pants is free samples, or paid samples. There are 138,823 polyester spandex yoga pants suppliers, mainly located in Asia. 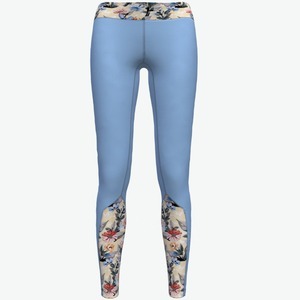 The top supplying countries are China (Mainland), Pakistan, and Poland, which supply 89%, 9%, and 1% of polyester spandex yoga pants respectively. Polyester spandex yoga pants products are most popular in North America, Western Europe, and Eastern Europe. You can ensure product safety by selecting from certified suppliers, including 14,394 with ISO9001, 13,498 with Other, and 4,948 with ISO14001 certification.